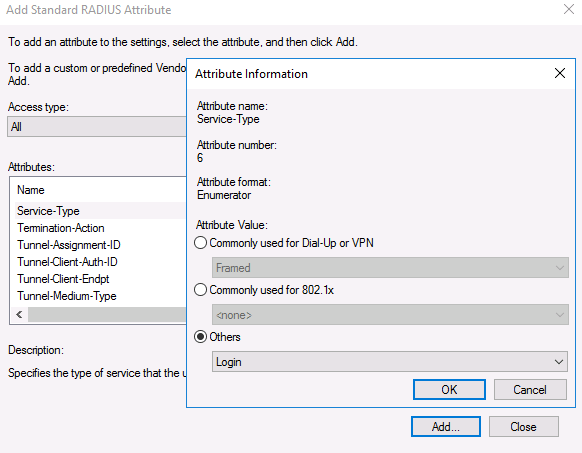 RADIUS (Remote Authentication in Dial-In User Service) is a network protocol for the implementation of authentication, authorization and collection of information about the resources used, designed to transfer information between the central platform and equipment. 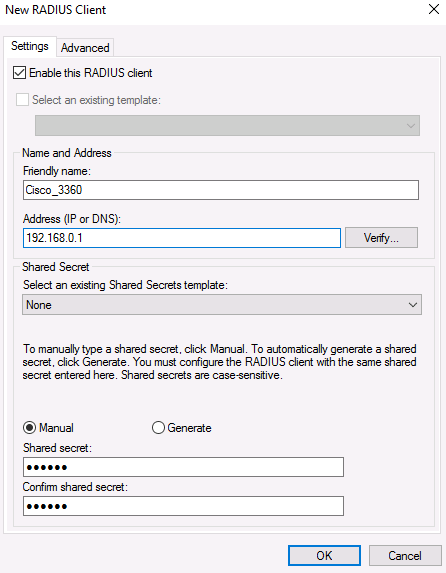 In this article we’ll show you how to configure the centralized RADIUS server based on Windows Server 2016 OS, and how to configure RADIUS authentication on Cisco devices using the Network Policy Server service. At first, create a new security group in the Active Directory domain (for example, RemoteCiscoUsers) in which you will need to add all users (How to Add User to Active Directory Group) that will be allowed to authenticate on Cisco routers and switches. Next you need to install RADIUS server role on your Windows Server 2016. Open the Server Manager console and run the Add Roles and features wizard. 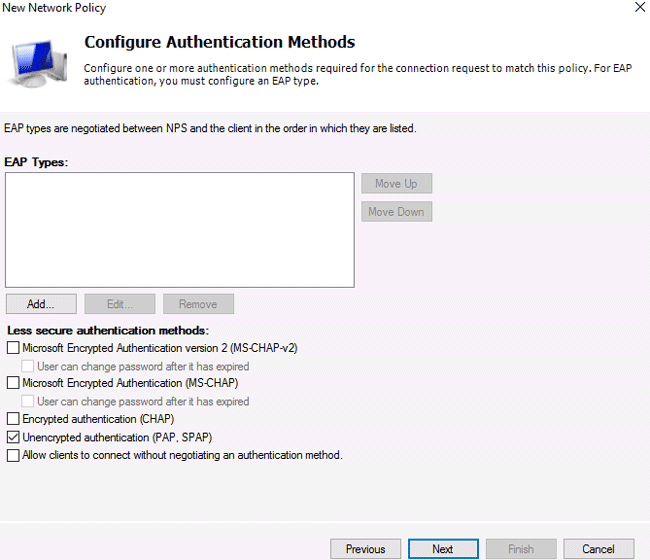 The Remote Authentication Dial In User Service (RADIUS) protocol in Windows Server 2016 is included in the Network Policy Server role. 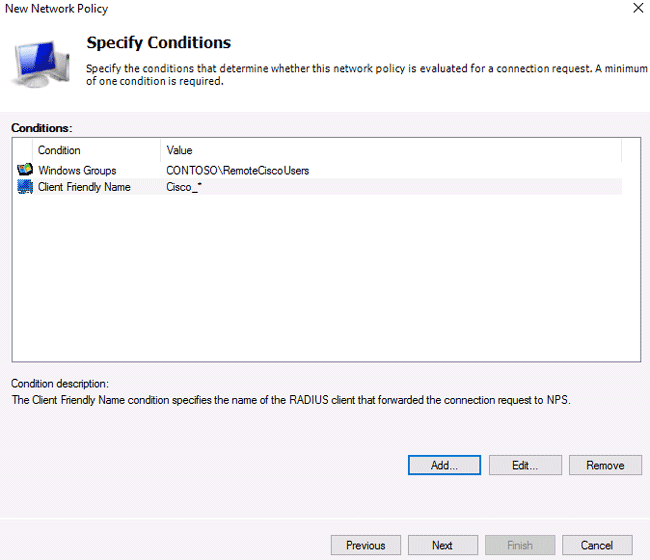 In the wizard that appears, select the Network Policy and Access Services role in the role selection step. 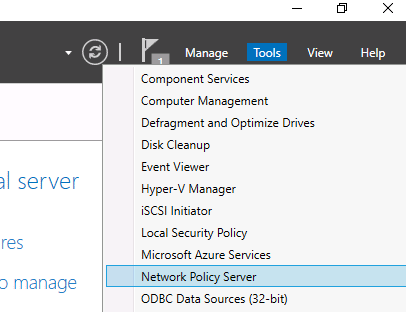 After the role installation is complete, open the Network Policy Server (nps.msc) in the Tools menu. To use the NPS server in the domain, you must register it in the Active Directory. 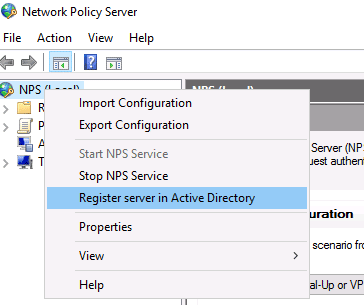 In the NPS, right-click on a root and select Register server in Active Directory. Confirm the registration of the server in Active Directory. In this case, the server will be given the authority to read the properties of user accounts related to the remote access. The server will be added to the built-in domain group RAS and IAS Servers. Now you can add the Radius client. 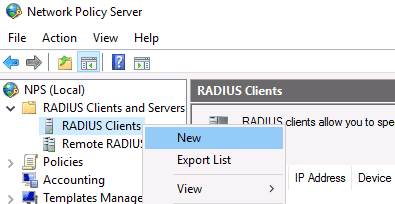 To do this, in the NPS console tree, expand the RADIUS Clients and Servers section and select New on the RADIUS Clients item. On the Settings tab, fill the fields Friendly name, client Address (you can specify IP address or DNS name) and Shared Secret + Confirm shared password (you will use this password in the configuration of the Cisco switch/router). In the Advanced tab, select Vendor name – Cisco. 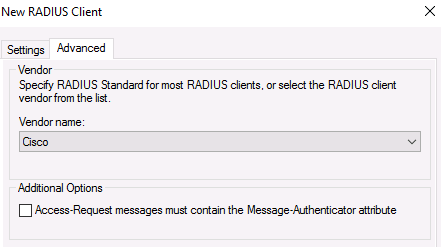 Now you need to create access policies on the RADIUS server. 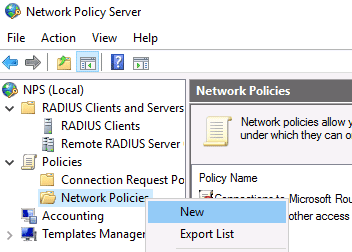 Using the access policy, you will link the Radius client to the domain user group. 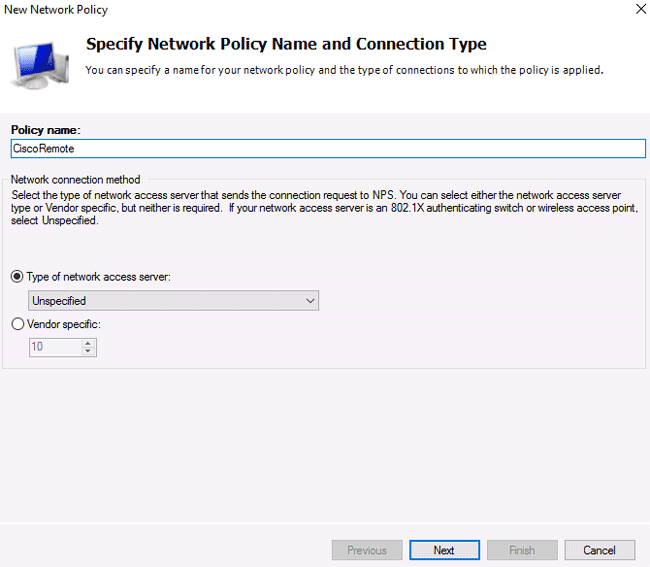 Specify the Policy name, type of network access server should remain unchanged (Unspecified). In next step Specify conditions, you need to add the conditions under which this RADIUS policy will be applied. Let’s add two conditions – that the user who passes authorization belongs to a certain domain security group, and the device to which access is made had a certain name. 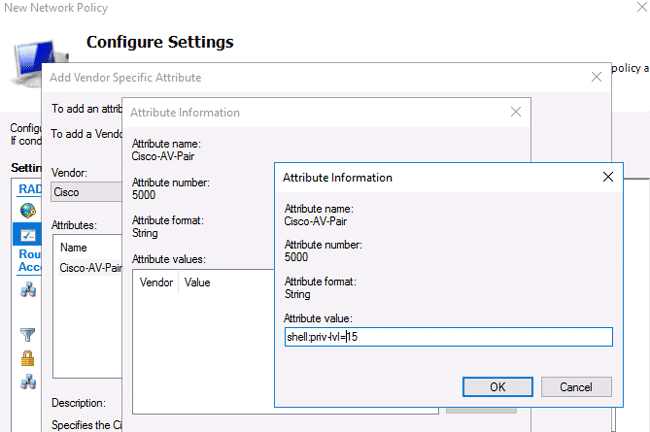 Using the Add button, first add the condition by selecting the Windows Group type (add the RemoteCiscoUsers group) and specify the Client Friendly Name (Cisco_*). On the next screen select Access Granted. Because our Cisco switch supports only the Unencrypted authentication (PAP, SPAP) authentication method, uncheck all other options. Skip the next configuration Constraints step. In the Configure Settings section, go to the RADIUS Attributes > Standard section. Delete the existing attributes there and click the Add button. Select Access type > All, then Service-Type > Add. Specify Others = Login. 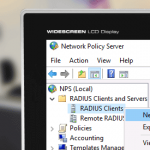 The last screen displays all selected NPS policy settings. Click Finish. When creating and planning policies, pay attention to what matters their order. Policies are processed from the top to down, and when it turns out that all the conditions in the next policy are met, their further processing is terminated. After creating the policy, you can proceed to configure Cisco routers or switches for authentication on the Radius NPS server. AAA works in such a way that if the response from the server is not received, the client assumes unsuccessful authentication. Be sure to create a local user in case the RADIUS server is unavailable for any reason. This completes the minimum switch configuration and you can try to check Radius authentication on your Cisco device.